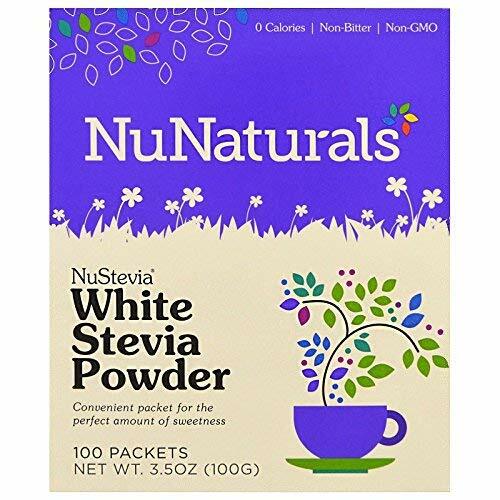 NuNaturals NuStevia White Stevia Powder is the perfect all-purpose sweetener to use on the go. Our stevia packets provide the ultimate convenience, and make it easy to take your stevia powder with you to work, restaurants, or even on vacation - wherever you might want to use stevia! Our pre-measured packets take the guesswork out of figuring out how much to use, making it a simple, healthy, and economical option - just one can be used to replace two teaspoons of sugar. Maltodextrin and Stevia Extract: Our stevia powder contains maltodextrin, a tasteless food-grade carbohydrate derived from non-GMO corn. The use of maltodextrin makes stevia powder easier to measure as it helps the Stevia flow smoothly out of the packet. 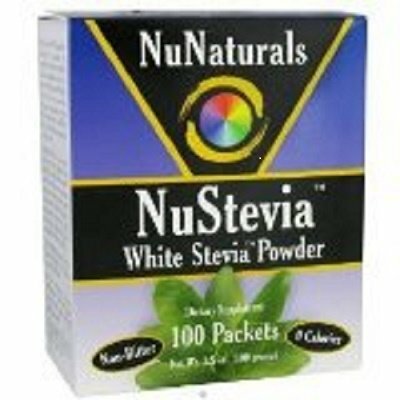 NuNaturals NuStevia White Stevia Powder packets provide the ultimate convenience. 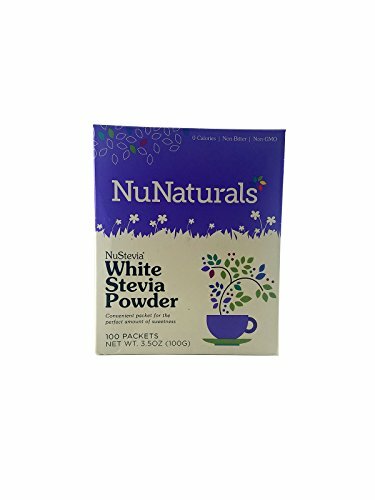 NuNaturals uses our special, highly concentrated Stevia extract, NuStevia, from which the bitterness of the extract has been removed. Be assured that this is a true Stevia extract, consistent in the quality that you expect from NuNaturals. 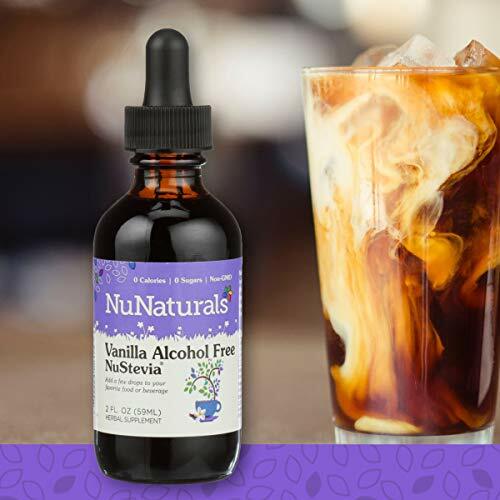 NuNaturals uses plant-based natural flavors that help to make our Stevia products the best-tasting ones available. NuStevia is a natural plant extract. 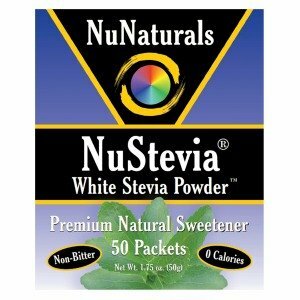 NuNaturals Stevia products will not raise blood sugar levels and therefore are safe for diabetics. NuStevia NoCarbs Blend is a carbohydrate-free version of our White Stevia Powder packets. The NoCarbs Blend is premium, natural, all-purpose sweetener that can be used as a calorie-free way to replace sugar. Our stevia packets provide the ultimate convenience, and make it easy to take your stevia powder with you and use it on the go! Our pre-measured packets take the guesswork out of figuring out how much to use, making it a simple, healthy, and economical option - just one can be used to replace two teaspoons of sugar. Erythritol and Stevia Extract: Our carbohydrate-free stevia powder contains erythritol, a white crystalline powder derived from non-GMO corn. It is safe for consumption for people with diabetes, and does not affect blood glucose or insulin levels, does not cause undesired gastrointestinal effects, or promote tooth decay. Suggested Use: In tea, coffee, cereal, yogurt, lemonade or anything else that needs sweetening. 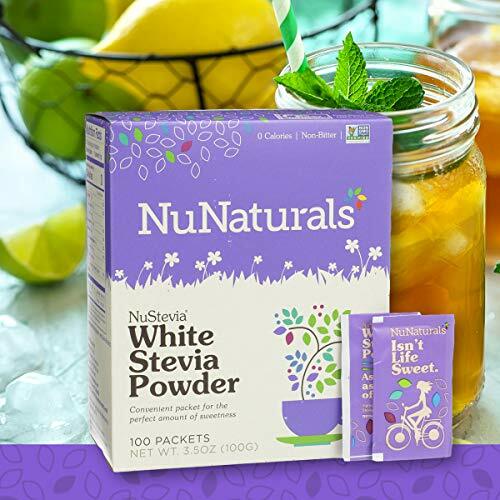 Premium Natural Sweetener Non-Bitter 0 Calories NuNaturals® NuStevia® White Stevia Powder packets provide the ultimate convenience. 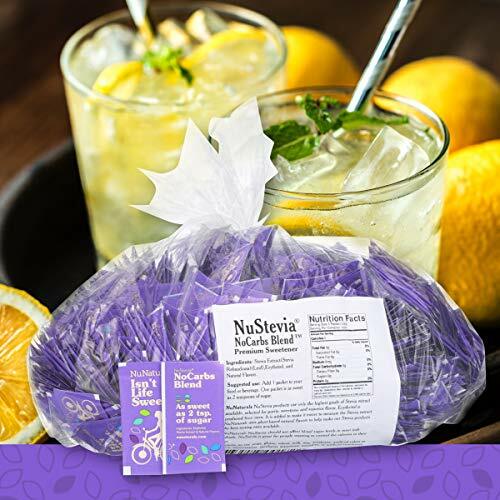 Our packets make it very easy to take NuStevia with you to work, restaurants, or other places where you may want to use NuStevia. The pre-measured packets take the guesswork out of how much NuStevia to use. NuStevia Pure Extract Powder is highly concentrated and great for use in recipes or large batches of beverages. 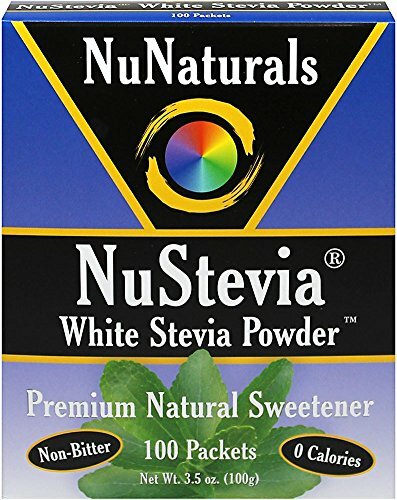 NuNaturals NuStevia products use only the highest grades of Stevia extract available, selected for purity, sweetness, and superior flavor. This product does not have an unpleasant aftertaste. Plant-based natural flavors are added to make our NuStevia products the best-tasting ones available. NuStevia is a natural herbal sweetener. Maltodextrin is a carbohydrate. It used to make it easier to measure the NuStevia extract and act as a filler so the concentrated extract can be put into packets. NuNaturals NuStevia should not affect blood sugar levels in most individuals. NuStevia is great for people wanting to control the calories in their diet. Contains no soy, yeast, gluten, msg, wheat, milk, synthetics, artificial colors or flavors, preservatives, saccharin, aspartame, sucralose, or artificial sweeteners. 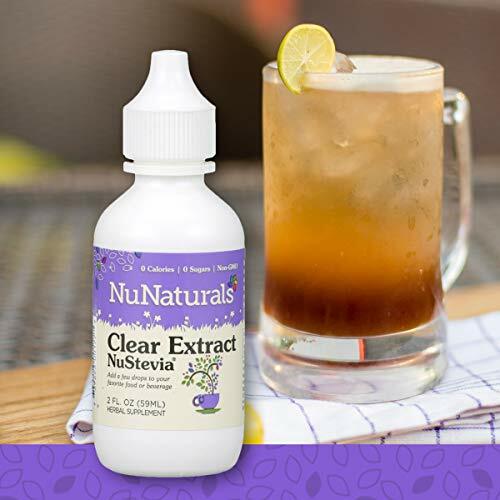 NuNaturals Clear NuStevia Liquid Stevia extract is the perfect sugar substitute for your beverages, foods, and baked goods-essentially, anything that calls for stevia! This highly-concentrated liquid stevia is a great option if you’re looking to cut sugar and calories from your diet. Choose between the built-in squeeze top plastic bottle or a higher-quality glass dropper bottle for ease of use. 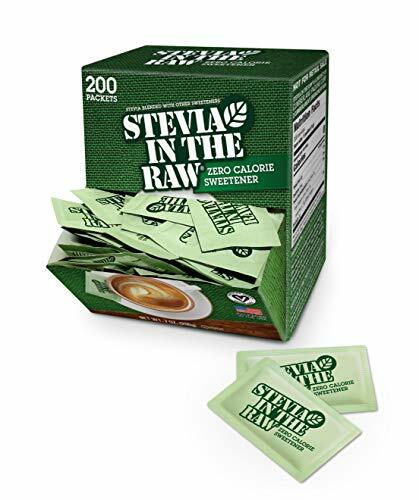 Enjoy your sweet moments with Stevia In The Raw 200 Count Box zero-calorie sweetener. Using the extract from the sweet leaves of the stevia plant, the delicious flavor comes without any calories and is kosher certified, vegan certified, and naturally gluten free. Just one packet has the approximate sweetness of two teaspoons of sugar. So go on, sweeten a tea, hot or cold, or sprinkle it on cereal. Bake and cook with it too. Whatever you do, just do it with Stevia In The Raw.